An Illinois public school district has "taken steps to ensure" that a middle school principal will no longer send parents emails inviting them to participate in a prayer gathering at the school's flagpole. Superintendent Brian Kurz of the El Paso-Gridley Community Unit School District No. 11 recently assured a church-state separation group that there will be no more emails sent to parents from school administrators promoting any kind of religious event. Kurz's correspondence comes after the school district received a complaint last December from the the Wisconsin-based Freedom From Religion Foundation. The complaint alleged that El Paso Gridley Jr. High School Principal Robby Tomlinson sent parents an email last September promoting the national "See You at the Pole" prayer initiative that took place at schools across the country on Sept. 27. According to a letter from FFRF staff attorney Ryan Jayne, Tomlinson "personally invited" parents to the prayer gathering even though it was "mainly for the students." The email reportedly added that there would be donuts and milk at a neighbor's house across the street from the school. The FFRF letter called for an immediate investigation into Tomlinson's actions. "I have investigated the concern regarding Mr. Tomlinson's communication to parents," Superintendent Brian Kurz wrote in an email to FFRF. "We acknowledge that this communication could be perceived as promoting the See You At the Pole event. We have taken steps to ensure the school will not publicize this type of event in the future." The Christian Post asked Kurz to elaborate on what steps the school has taken in response to the FFRF complaint. A response is pending. In his letter to the school district, Jayne argued that it is unlawful under the Establishment Clause of the First Amendment to the U.S. Constitution for a school official in his or her official capacity to promote involvement in a religious event. Jayne reasoned that Tomlinson's email constituted an official government endorsement of Christianity. 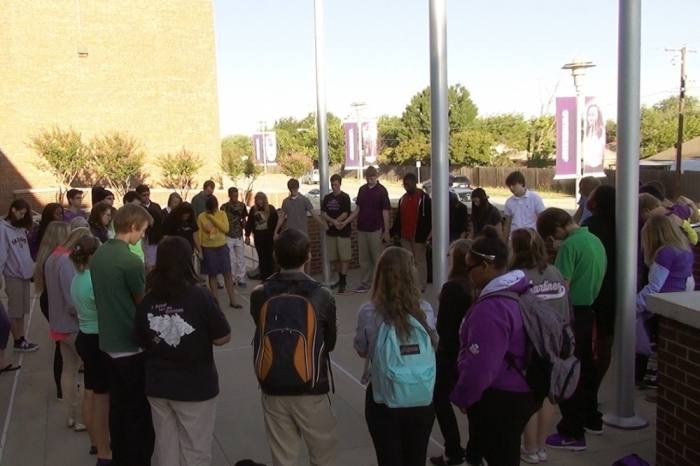 "See You at the Pole (SYATP) is a Christian-oriented prayer rally organized each year around a bible verse. This year's theme and verse was Hebrews 12:2, 'Fix our eyes on Jesus,'" Jayne wrote, adding that the national organizers call for non-Christian students to be "reached" through the event. "This religious event must be student-initiated and student-led," Jayne added. "District staff, especially administrators, may not use their position as District representatives to promote the event and may not participate in their students' religious events." The FFRF attorney cited the case of Borden v. School District of the Township of East Brunswick, in which a U.S. Appeals Court ruled that a high school football coach violated the Establishment Clause by participating in team prayer with his team. "District staff must not plan, promote, or participate in any future 'See You at the Pole' events, nor may they encourage students to put on such events," Jayne's letter states. "Any religious events must be truly student-initiated and student-led." 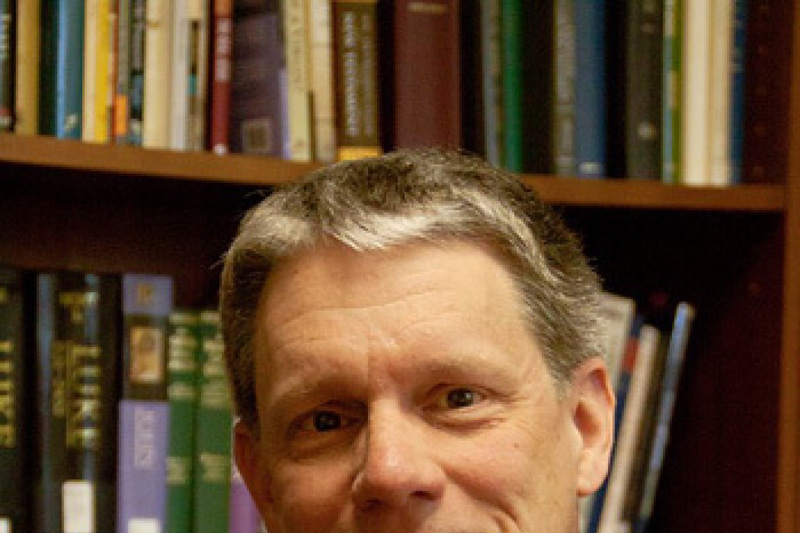 FFRF, which advocates for a strict separation of church and state, often pressures schools and local government entities to halt any sort of endorsement or entanglement with religion — whether it is forcing a secretary to remove Christian references from her email signature or calling for the removal of Bible verses from a dead student's memorial bench. In March, FFRF pressured a Minnesota county to remove its "God's laws" plaque that had been embedded into the courthouse wall ever since it opened over seven decades ago. Earlier this year, FFRF pressure led to an Oklahoma school district no longer allowing a local Baptist pastor to pray with a high school football team in the locker room before games.